The most accurate Westerly town map available online. Welcome to one of the best kept secrets in New England - Westerly, Rhode Island. 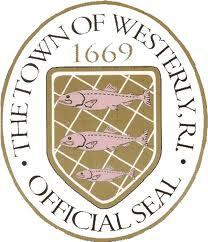 Westerly is located in the southwest corner of the state of Rhode Island, right along the border with Connecticut and along the shores of the Atlantic Ocean. Westerly is a family fun destination. You will find beautiful sandy beaches, family fun parks, boating, sailing and many other local attractions. While in Westerly, you may also want to enjoy its more refined side. Visit our restaurants, art galleries, come for the Shakespeare in the Park, listen to the Chorus of Westerly sing, go wine tasting or stay in one of our fine Inns or Bed & Breakfasts.